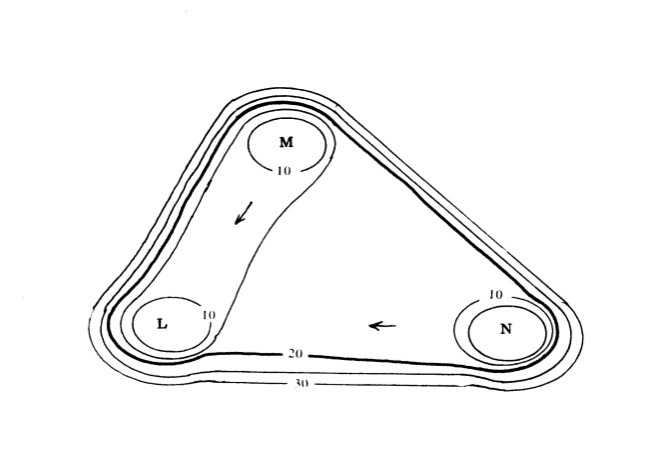 In this example from Cline et al. (2011)[ref 5] you can see both polygons and points. The points representing inhabited places and the polygons representing more generally the area in which the speakers live. Data points might be used to cover regions. Polygons might then be used to abstract from a series of points for clarity on a map. That is, in essence a polygon is a series of points with the same value (and the square area between these points). 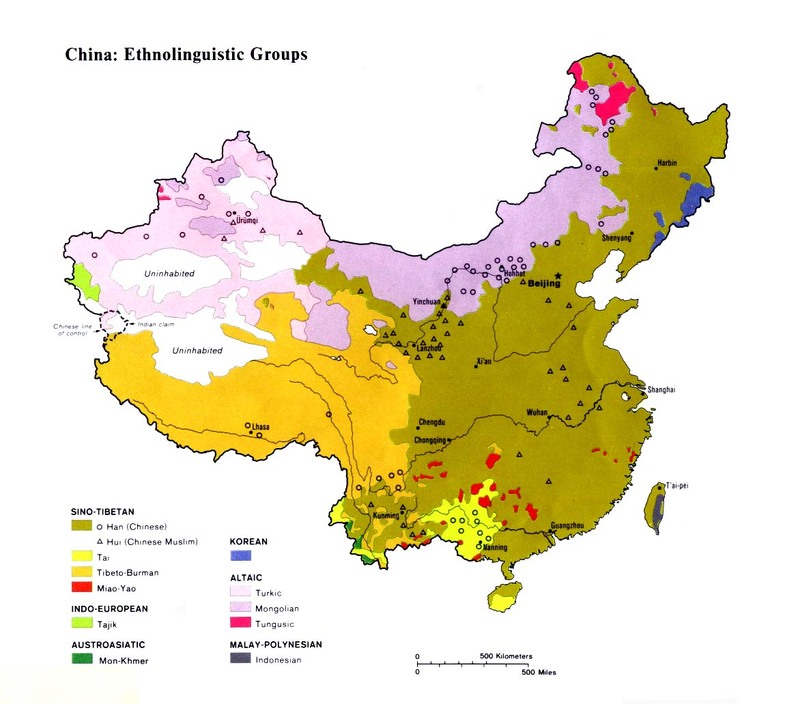 A second example of polygon use is from the Etnopedia article on the A Che[ref 6] people and language in mainland China. 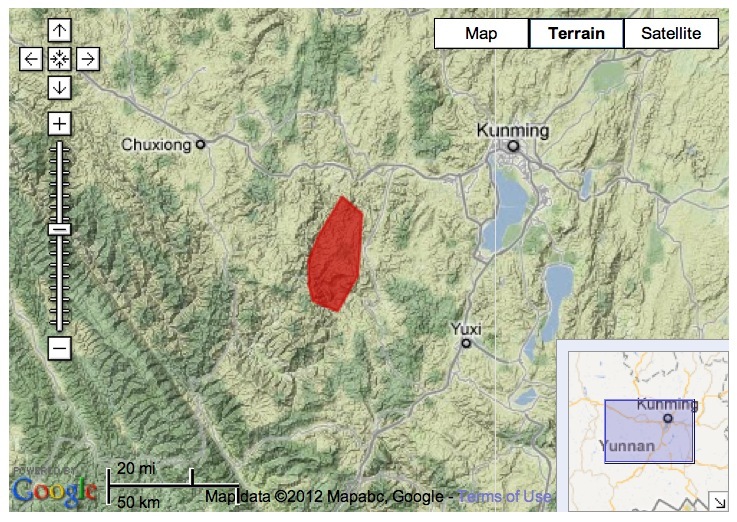 This map is presented in the browser as a polygon layer on top of Google Maps. 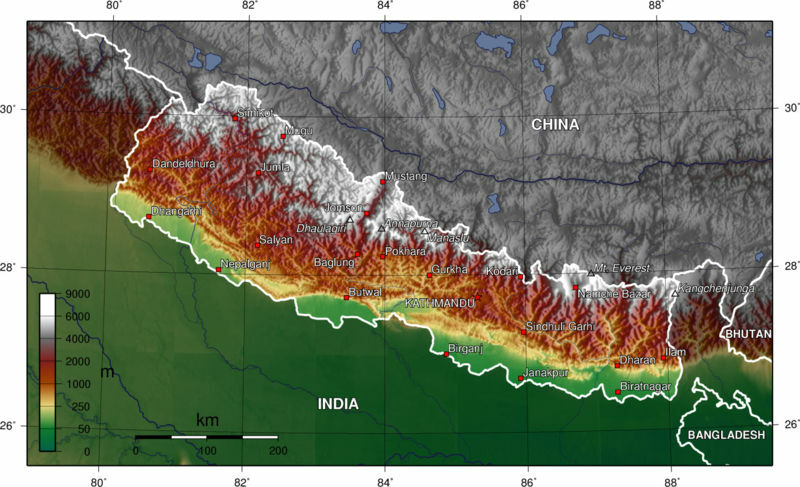 This brief focuses on graphing language, culture and linguistic data using polygons over real geographic terrain, though some maps with points will be included. 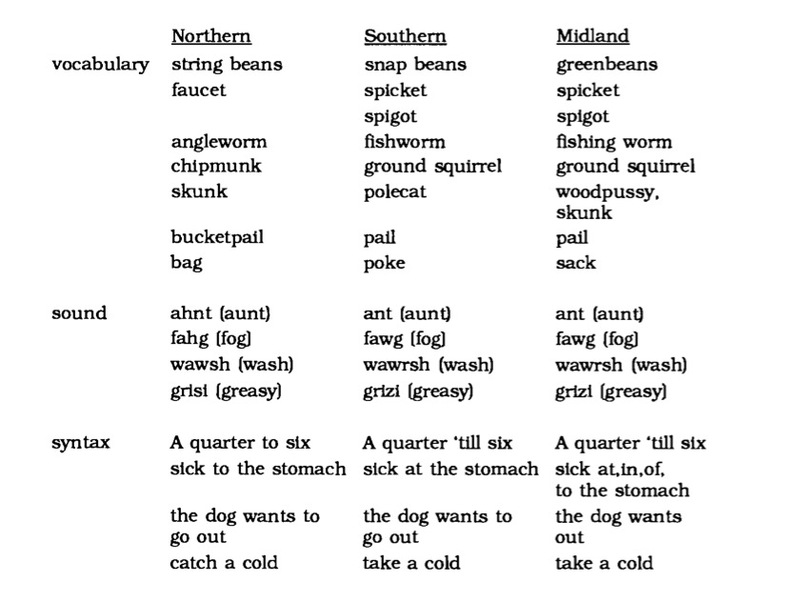 Example of some of the differences between the Midland, North, and South Dialects of English in the U.S. 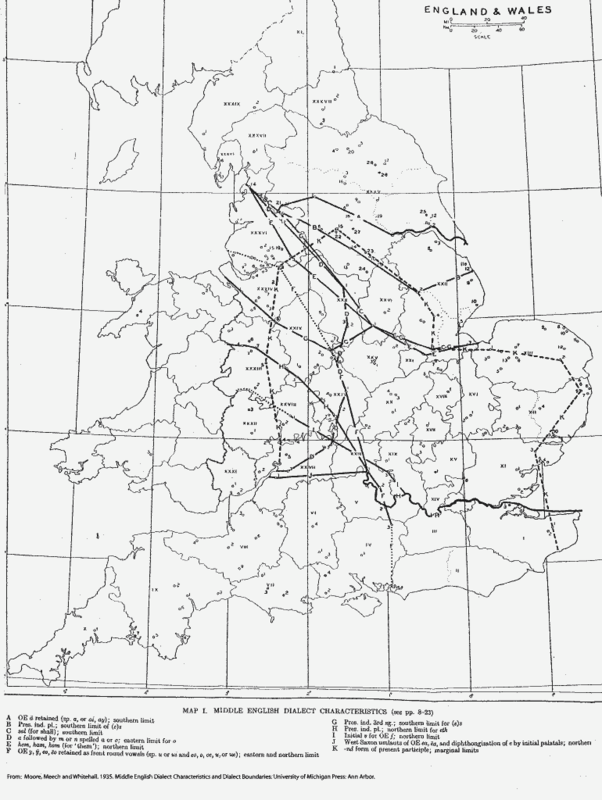 The following map of the UK shows some specific isogloss lines showing where dialects,[ref 11] depending on what is defined as a dialect, occur based on indicated features on the map (an example of presenting data). 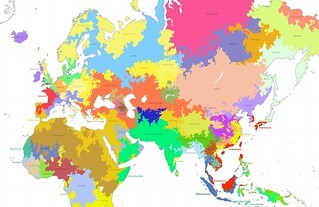 If we map the features, then where there is a convergence of features the “natural” dialects will emerge. When there is a convergence of features but not a indigenously recognized dialect this gives us, as researchers, insight to the linguistic meta-knowledge of the speakers. That is what do they hear as a marker that someone is from a different dialect. 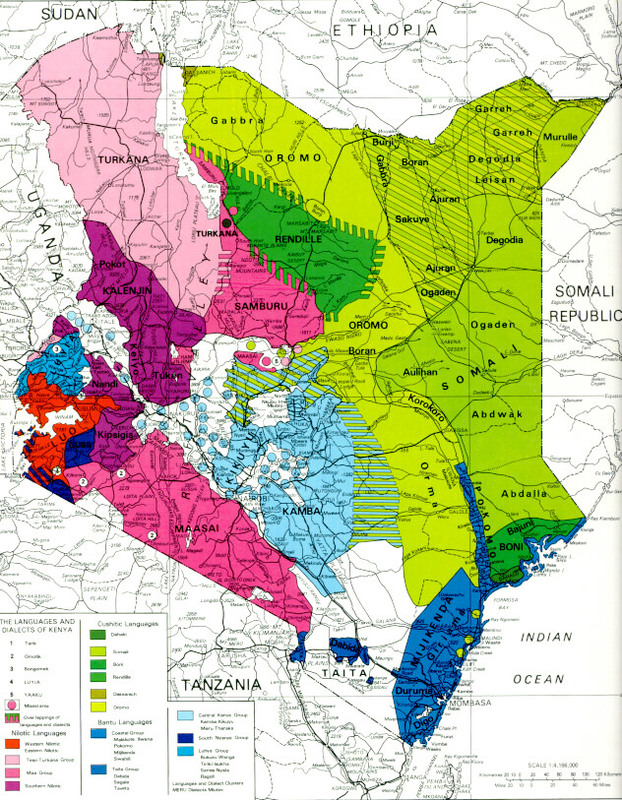 Also by mapping will we not only know were there are dialectal differences, but also the factors dividing people into different dialects. 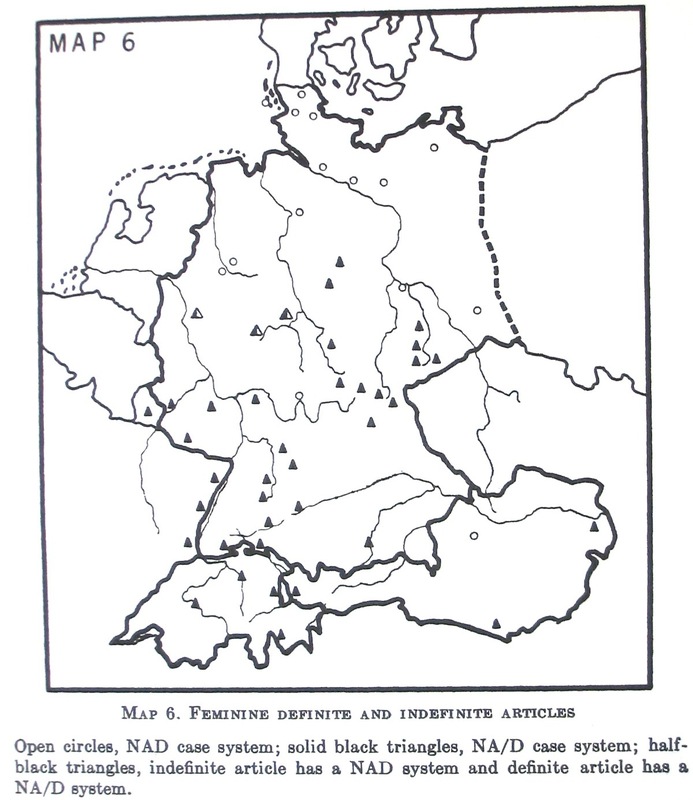 Consider this first map of Germany[ref 12]. 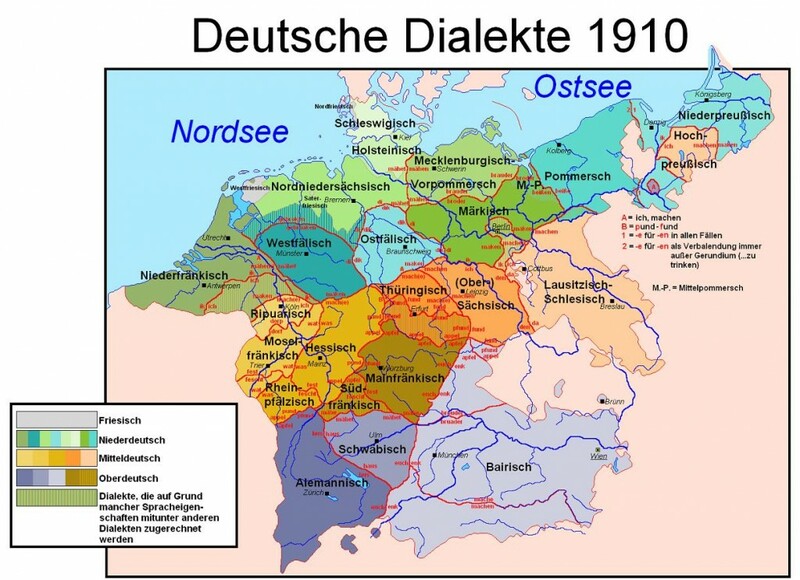 It shows what is commonly considered the dialects of German. 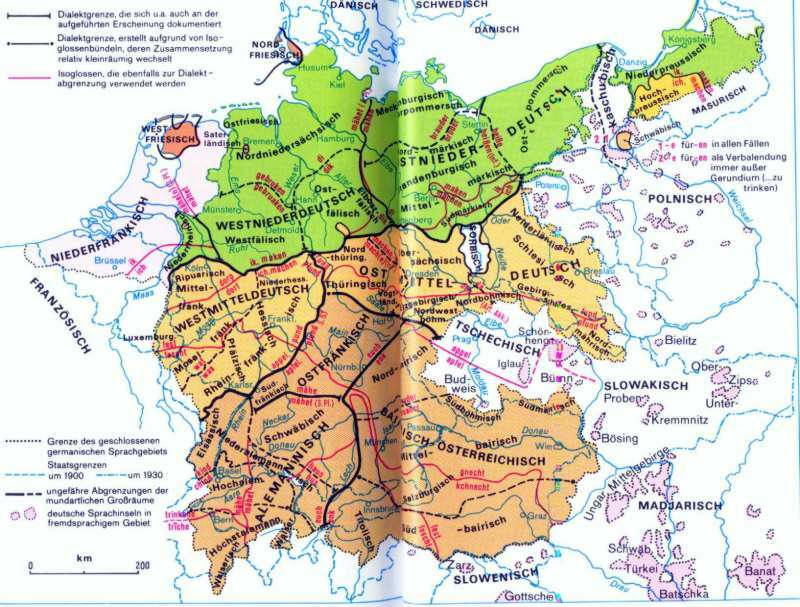 But from this map we can not tell why the dialect borders are the way they are or what the differences really are. But when we overlay the German political regions over the same information and also consider some information about case markings and phonological features we start to see some very distinct reasons why the dialect borders are the way they are. Mapping of German demonstrative pronoun das in the Black Forest area. This is the phonological shape of a particular syntactic element. 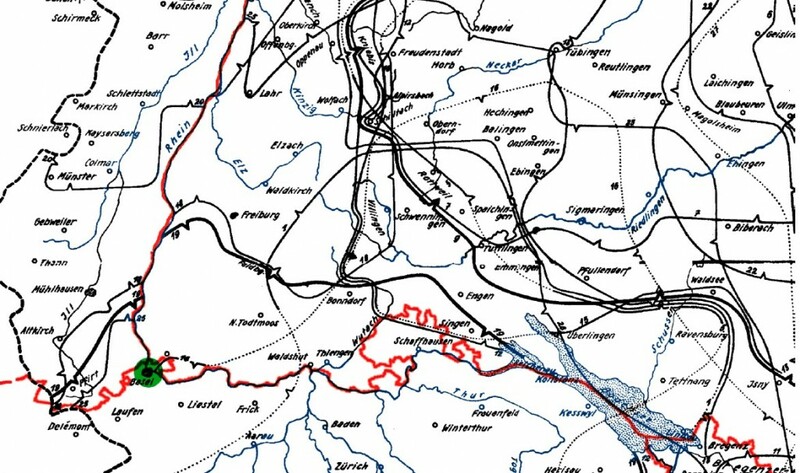 The confluence of lines in the above map reflects a single line in the map from the whole of the German speaking areas in the Map above from König (2001). 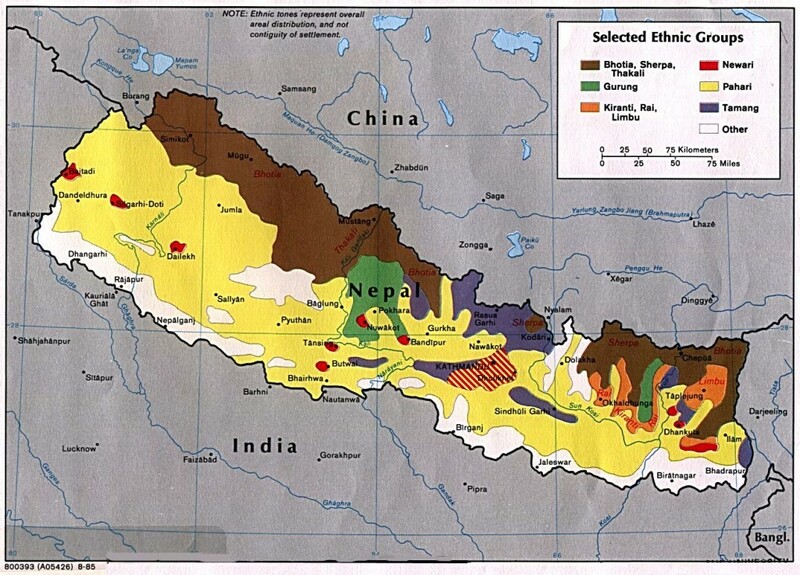 Maps can plot the ethnolinguistic populations of people. Ethnic-groups are different than languages, ethnic-groups can associate differently than languages and language families. These differences can be generalized, contrasted and mapped independent of language. It is important to note that these features might also be congruent or incongruent with language differences. The above map of Indonesia is from the Library at the University of Texas Austin[ref 14] and is based on the 1961 census data. 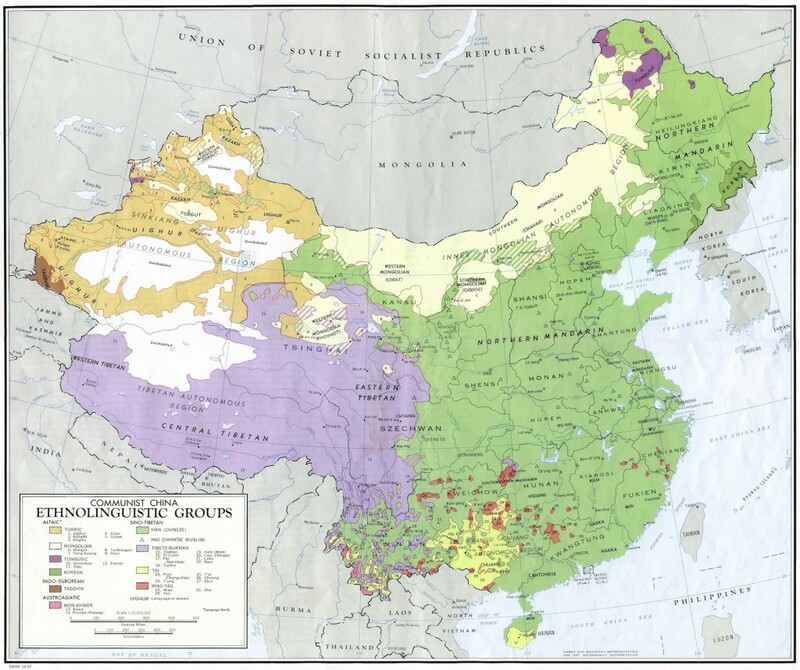 The following maps show various perspectives on ethnolinguistic knowledge and are from the University of Texas Austin Library map collection on China. The represent 1967[ref 15] , and 1983[ref 16] . Another Way to conceive of ethnolinguistic mapping is via a percentage of the population of a given area. Many areas around the world have more than one people group making up the society interacting in it. 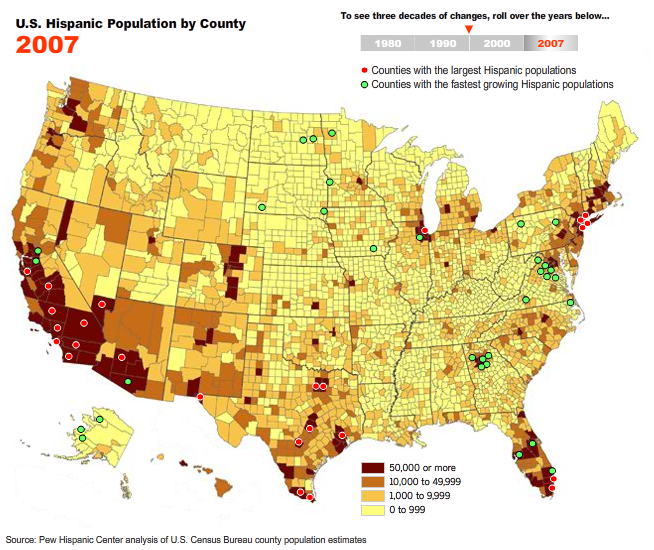 Here is an example of a Choropleth Map depicting the percentage of the hispanic population in the United States. 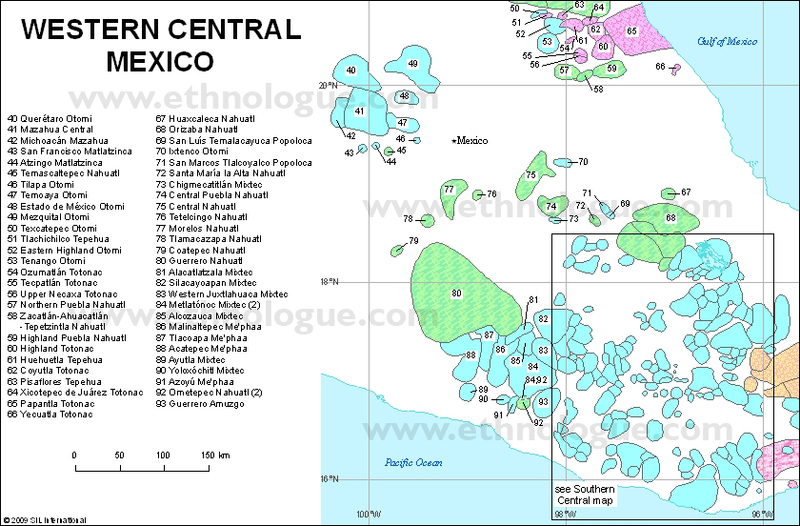 Maps can show the range of the people speaking that language. 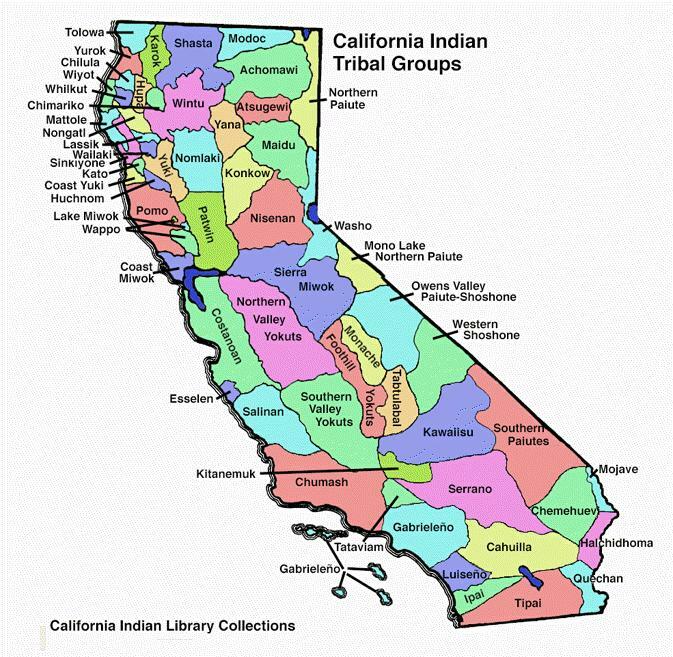 (Their territorial lands.) Obviously the ground doesn’t speak a language, people speak a language. People can move and are mobile, so these types of maps may change frequently. 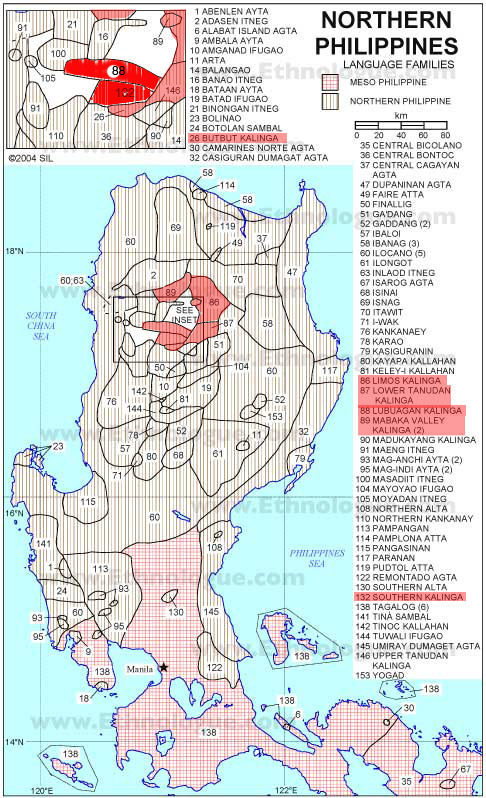 This map of Papua New Guinea shows the language areas for the languages spoke there[ref 17] . 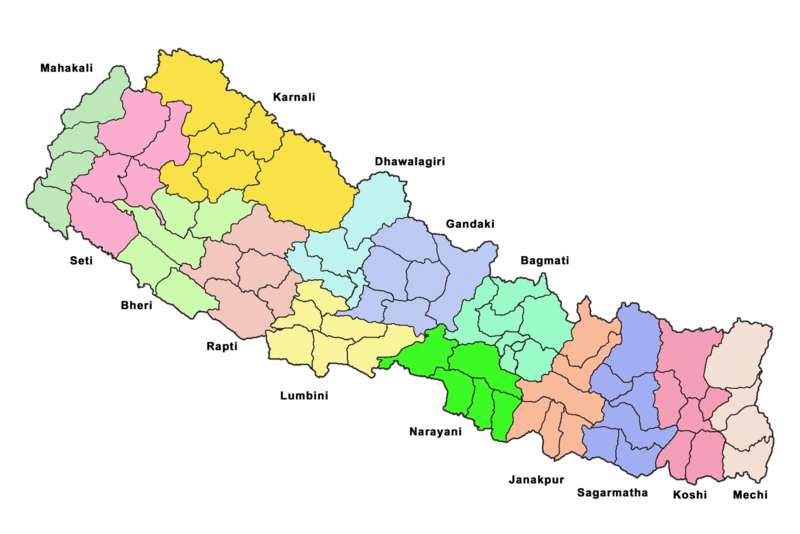 These maps look a lot like maps which show political boundaries (in the sense that they show distinct regions). Like the following one from Wikipedia[ref 18] . 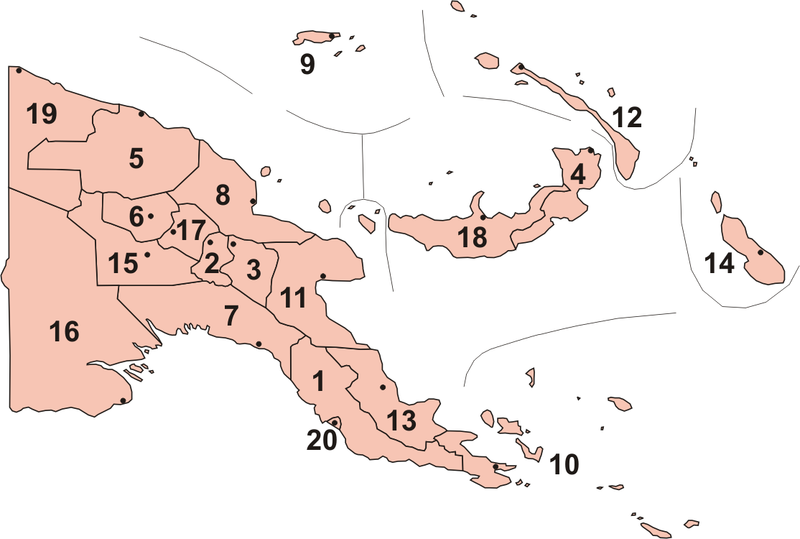 The above map about showing the languages of Papua New Guinea does make an attempt to differentiate language family by changing the color used to show a relationship between the polygons. Colors or patterns are often used to show these kinds of relationships. 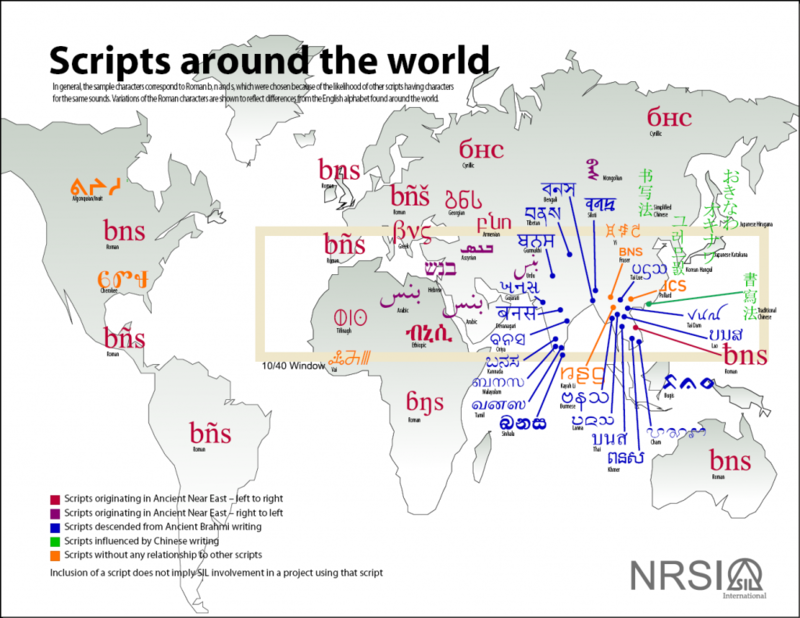 The map below[ref 21] shows variation in language family without actually looking at the individual languages. Anthropological features of societies may bridge ethnic or language groups. Maps can combine non-linguistic data with linguistic data.This map gives the positions and names of forests in the UK. 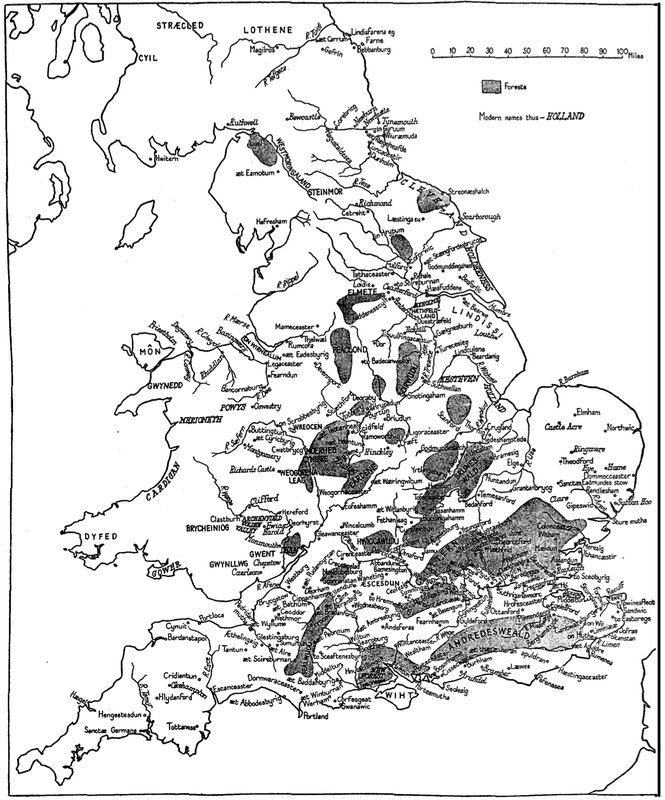 Because it is an “older” map, this map shows some of the old names of places in the UK[ref 24]. Place names have linguistic relevance and can show some interesting facets into a culture. In this sense, historical mapping is be different than mapping of language change (and historical linguistics). Language change can be mapped like phonological mappings when the right features are selected. 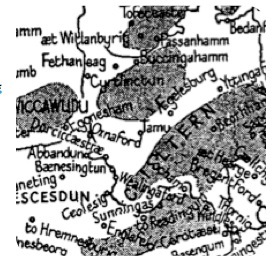 Maps can also display grammatical information. 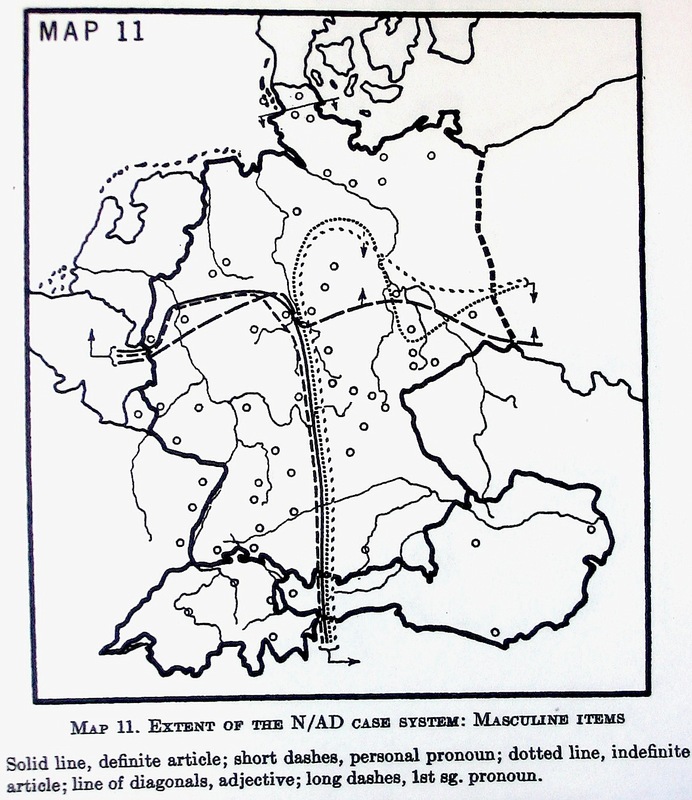 These following maps from Shrier (1965)[ref 26] demonstrate how the different conflations of Nominative Case, Accusative Case and Dative Case are active for various German dialects. Some dialects show case in their definite articles, some in inflectional morphology. 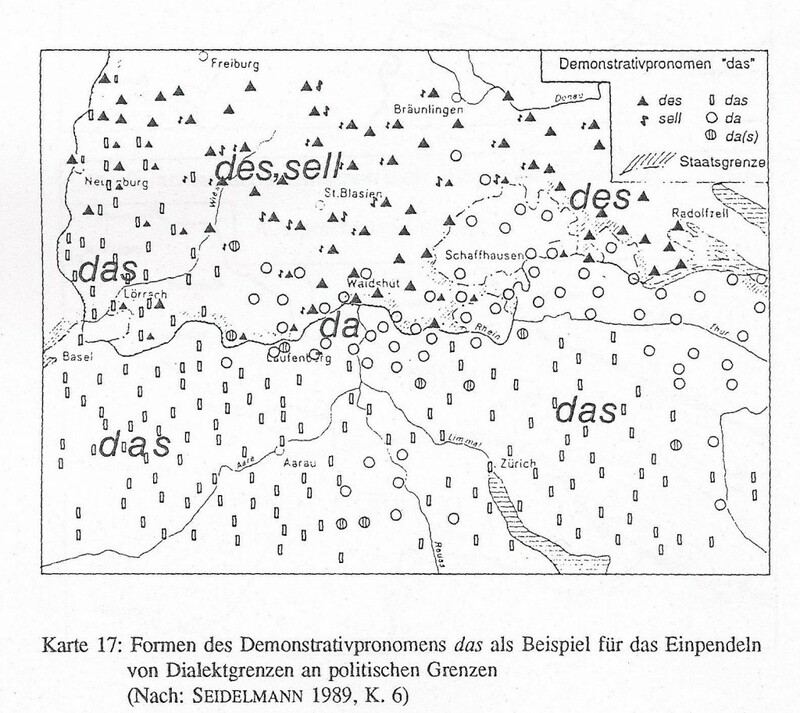 Maps can also display lexical variation for one semantic meaning. 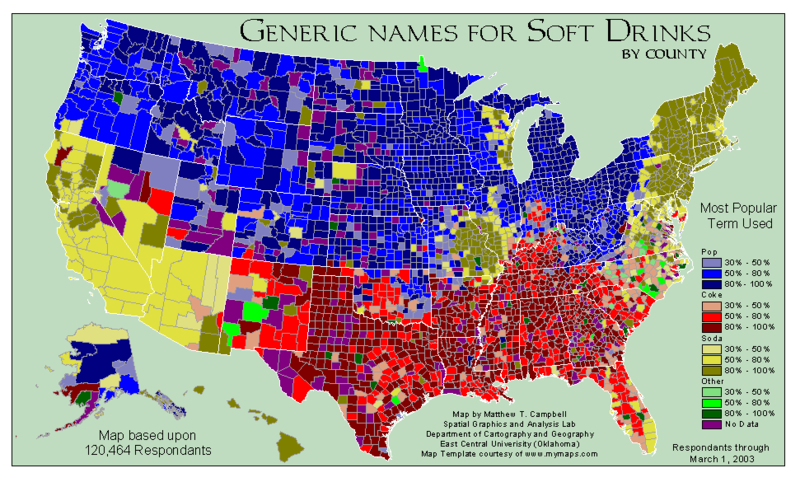 “Pop” and “Soda” refer to the same thing but different words are used[ref 27]. In these particular maps the color represents a portion of the population. So, colors is used to show gradient. In language nothing happens 100% of the time, but it might happen more often than the other way, or than not. 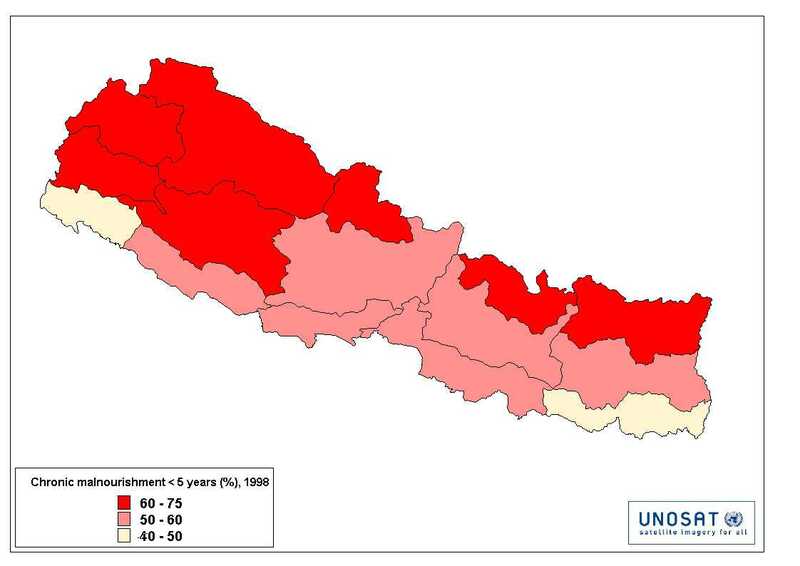 These are also examples of a choropleth maps. 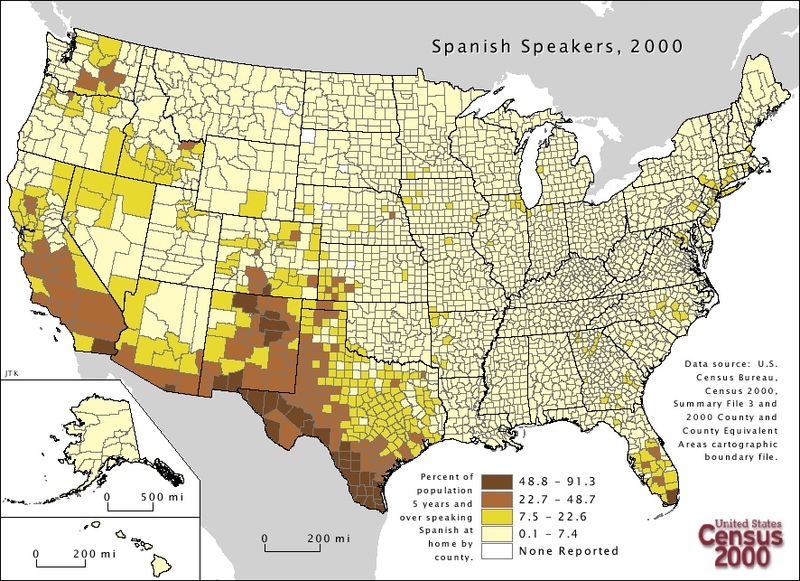 Here is an example of a choropleth map showing spanish speaker density in the United States. Spanish speaker density in the U.S. However, often comparisons which are needed by viewers (readers) of map to derive meaning from maps, need two or more maps or maps which change in video or over time. So here is a second map, this maps showing the density of the hispanic population [ref 28] . Density Map of the Hispanic Population in the USA. This is also another example of an ethnographic map. This is an interesting way to plot speaker densities. It works in the USA because in the USA there are well defined (and small) geographical areas like counties and zip-codes. In a country where these kinds of geographical units are not well defined using them to show population density might not work as well. 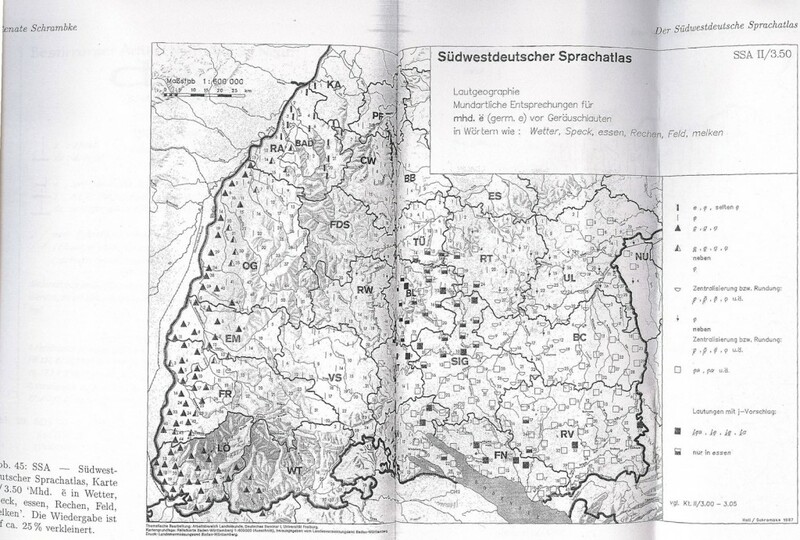 This first map by Renate Schrambke can be found in the Südwestdeutscher Sprachatlas. 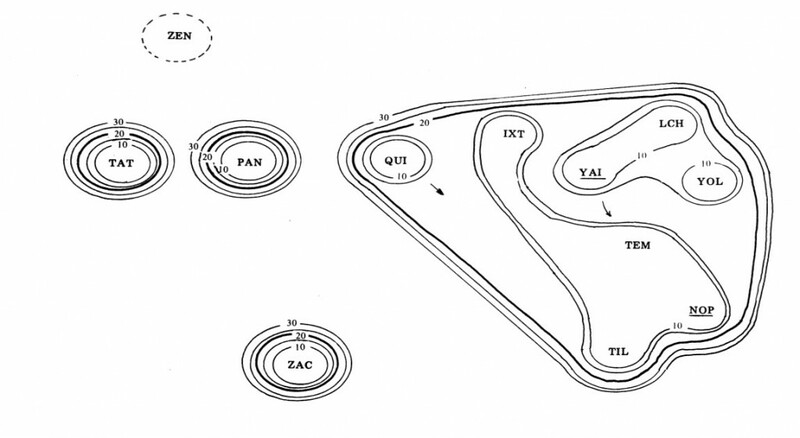 [ref 29] It demonstrates a system of symbols to represent the location of a survey and then also the phonetic detail value for that location on the survey. 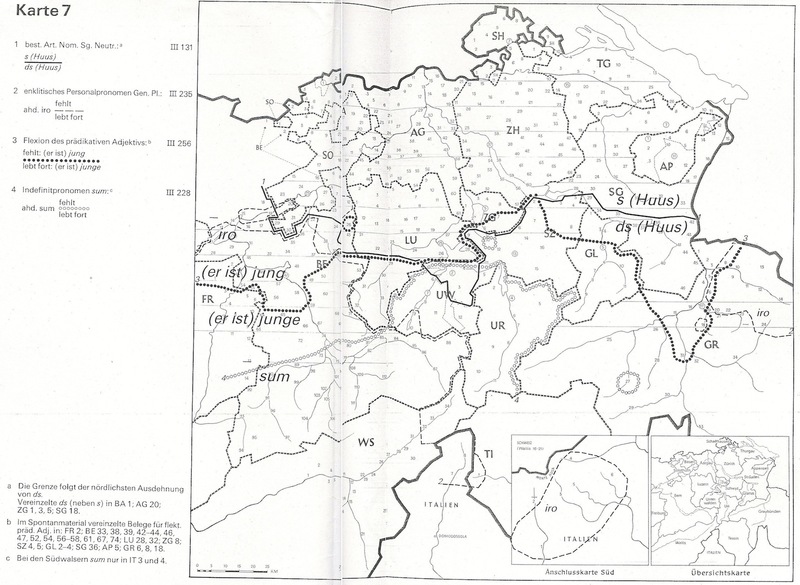 This second map shows several isogloss lines which can be either lexical, or phonological or grammatical. A Map showing the distribution of languages with the interdental approximant as described by Olson et al. “Mutual Intelligibility” is an issue which carries its own set of challenges. The basic idea for mapping mutual intelligibility is to graph how much, in terms of a percentage, what one speaker understands of another speaker’s speech. But the challenges for mutual intelligibility lie in how one defines the term and how one teases apart the analysis for intelligibility. It is the nitty-gritty questions like: What is Mutual Intelligibility? What is unintelligibility? Why is it unintelligible? Are the causes for not comprehending the speech linguistic factors or social factors? How is meaning negotiated face to face? How is meaning negotiated through a audio-aural message? We can map the results of intelligibility tests, but do these tests also identify the causes for a lack of intelligibility? This is where mapping linguistic features is probably more revealing than mapping intelligibility scores, because intelligibility is actually mapping an analysis rather than mapping data. In these maps we can see where there is a gradient of intelligibility. Each isogloss line after the inner most line represents 5% loss in intelligibility (the first line is 10%). 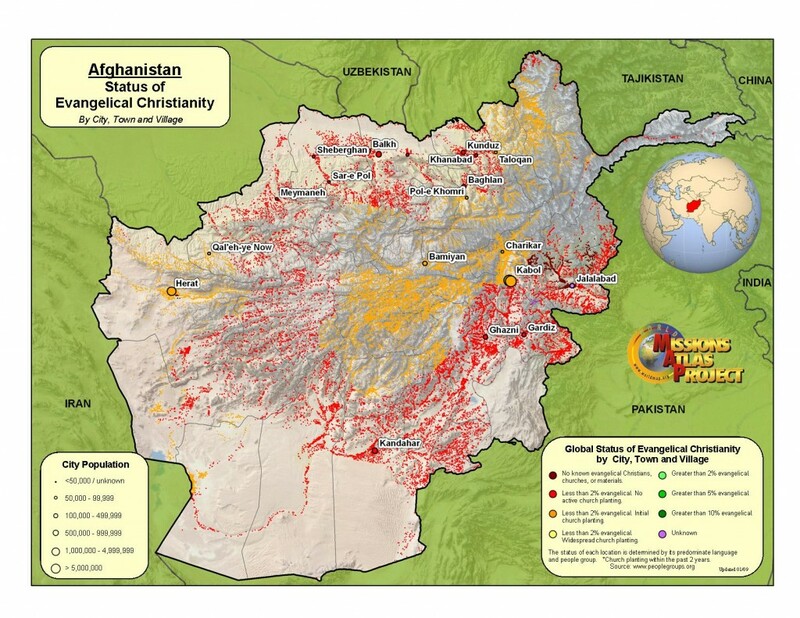 But what we can not determine from these maps is why. Are there geographical factors contributing to isolation? Are there economical factors at play and to what extent? SIL’s Non-Roman Script Initiative has created this map showing various script usage around the world. Religion is also know to have a role in language use and the creation of third place social environments. Being able to overlay religious facts with language use facts reveals interesting stories of language vitality, culture, and potential significant influences on the social make up of the language us setting. This example is one where a user can create a Chotopleth map based on a variety of data sets from the U.S. government. Kaufman, Terrence, Stephanie Koerner, et al. 2007. 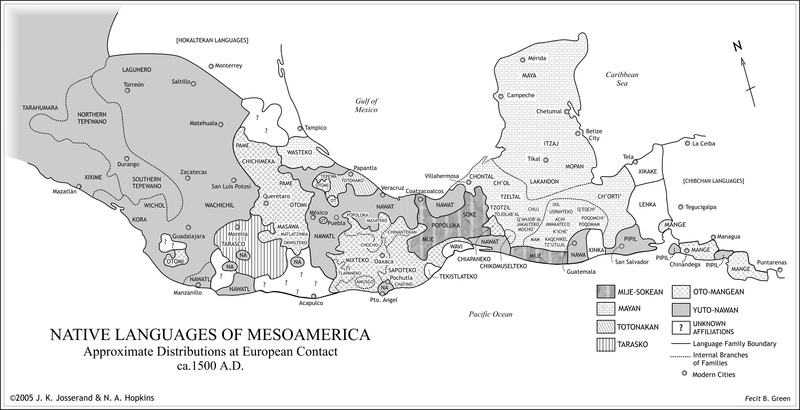 Meso-America. Atlas of the World’s Languages, ed. by R. E. Asher and Christopher Moseley, 56. Oxford: Routledge. 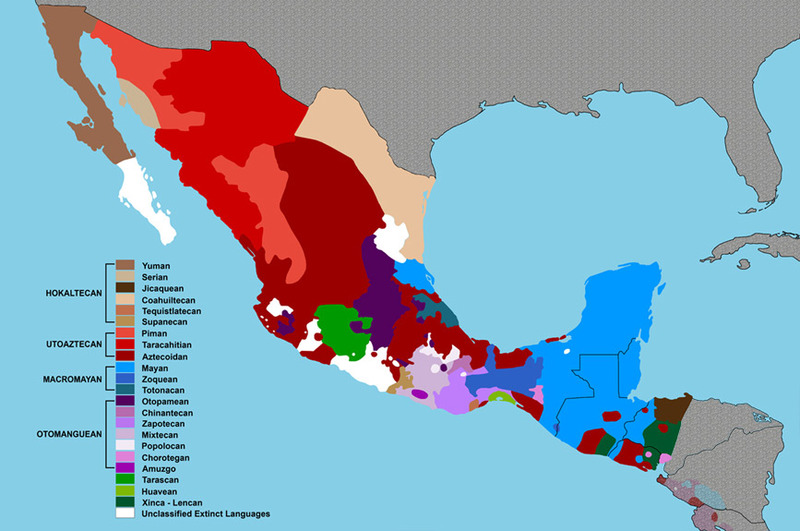 The areas pictured display locations where the Mayan subgroup languages were spoken when European explorers first encountered them. 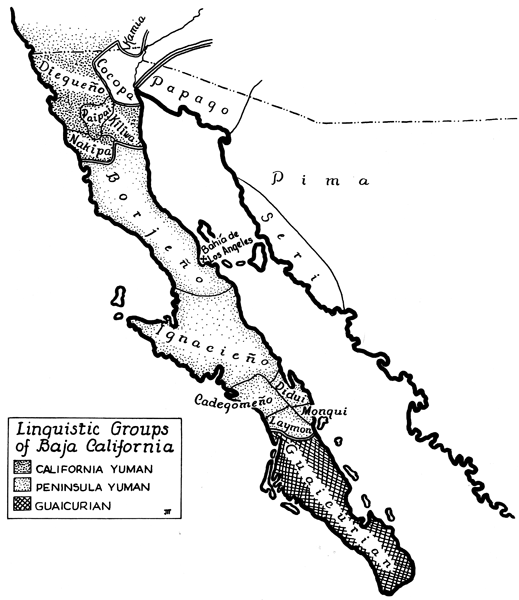 As specified by Asher and Moseley, the time of contact varied for each language; most of the coastal languages were first identified during the 16th and 17th centuries, although some languages in the interior of South America became known much later, during the 20th century (Asher, Moseley et al). Geolinguistics: The Incorporation of Geographic Information Systems and Science. [ref 34] shows some interesting charts for clustering data and mapping the same data. William A. Kretszchmar Jr. 1996. 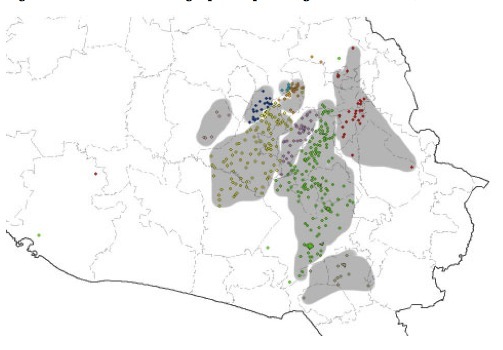 Quantitative areal analysis of dialect features. 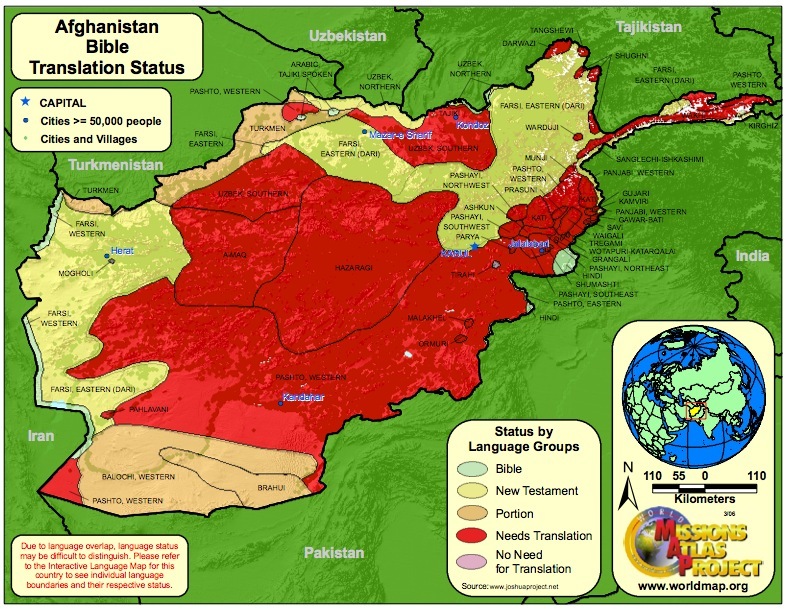 This entry was posted in Cartography, Geo-Tagging, GPS, Language Documentation, Linguistics, UI/UX and tagged cartography, Choropleth map, GIS, language, Map, Maps, opendraft by Hugh Paterson III. Bookmark the permalink.